In our world, the need for lone worker monitoring and efficient emergency procedures can not be overstated. Whether in the mining sector, engineering operations, oil and gas, or manufacturing, these industries require lone workers to operate, perform maintenance, and reside in remote, and oftentimes dangerous, locations for extended periods of time. That’s why lone worker safety should be of paramount importance to companies within our industry. In the days of old, there were panic alarms (like smoke detectors) which alerted workers and supervisors to the presence of high levels of toxic gases. But oftentimes, the alerts came too late — the lone worker could have already been affected by the presence of these gases. They could be unresponsive and unable to alert the emergency teams to their location. By the time the source of the leak was identified, it was too late. This all-too-common scenario led to the out-dating of these methods and the development of more modern, advanced technologies, like the G7 portable wireless gas detectors. These smart toxic gas detectors have the capability to detect even trace amounts of toxic gases (such as hydrogen sulfide, carbon monoxide, ammonia, and combustible gases), connect lone workers with live support teams and teammates, provide scheduled automatic check-ins, and even alert emergency response personnel to a leak or no-motion incident even when the worker can’t. With 3G cellular connectivity, two-way messaging, GPS tracking, and of course direct connectivity with 24/7 live support in case of emergency, the G7 delivers on lone worker safety in a way that was previously unheard of. One of its most important features is the 24/7 live safety monitoring team on standby. They are there to provide critical insights to response teams in the event of an emergency, while also making sure that the proper evacuation and emergency protocols are put into action throughout the entire facility. 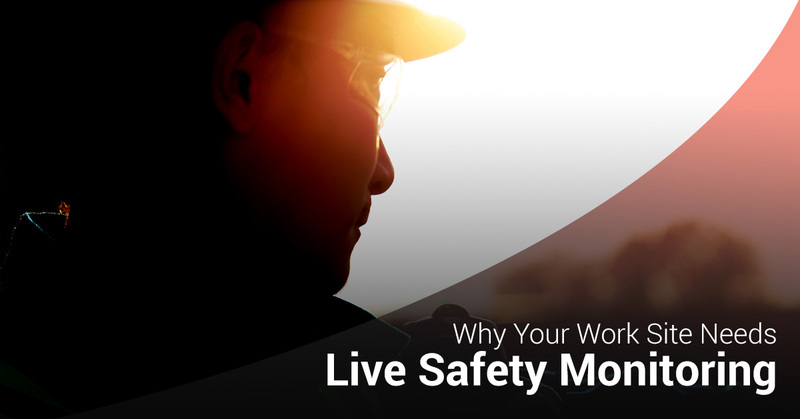 Keep reading to learn why live safety monitoring is so crucial, and contact Safety Scan USA today to see how we can help improve lone worker safety at your facility. With the G7, emergency response personnel are standing by 24/7 for your safety needs. That provides unparalleled peace of mind, along with emergency response management, which can help improve efficiency and avoid disaster. How efficient is this system? With the G7, an estimated 99.5 percent of alerts from toxic gas leaks, security breaches, injuries, and no motion events are responded to in under a minute. The G7 emergency response methods are based on your facilities preferences, and can be fully customized to fit your needs. Supervisors are notified of an event through text and email, while live monitoring teams manage the alert. The emergency response measures are carefully and clearly defined, and the location of downed, injured, or incapacitated employees is tracked through GPS or location beacons to ensure a swift, accurate, and efficient response to the proper area. With the Blackline Safety response team on standby, your operations receive transparent response-time reporting to ensure that everything is running as it should be. Highly qualified monitoring agents are there to make the experience simple and improve lone worker safety, which is why they will be there from receipt of an alert all the way through resolution of the incident. In addition to live safety monitoring from real safety agents, companies also gain access to the leading safety monitoring tools online through a customizable web portal. The portal provides real-time safety status on an interactive map page, simple configuration of emergency protocols, and the type of alert (gas type, concentration, or other) is clearly displayed on a map. In the event of an emergency, the live support team can enact the proper emergency response and relay communication to the workers on site. With mass cellular and email notifications, the team can trigger a large-scale evacuation and monitor the progress of the response from start to finish. Lone worker safety is further optimized through environmental gas monitoring through the live safety management team. Through the web portal is where gas reading sare stored, the type and concentration of gas exposure is relayed in real time, and other alerts and events can be managed. Live safety monitoring and support can drastically improve lone worker safety throughout a variety of industrial applications and scenarios. The G7 portable wireless gas detectors connect lone workers with live support, teammates, and supervisors in order to streamline emergency management and overall operations. To learn more about the future of gas detection, contact Safety Scan today and request a free demonstration at your facility.